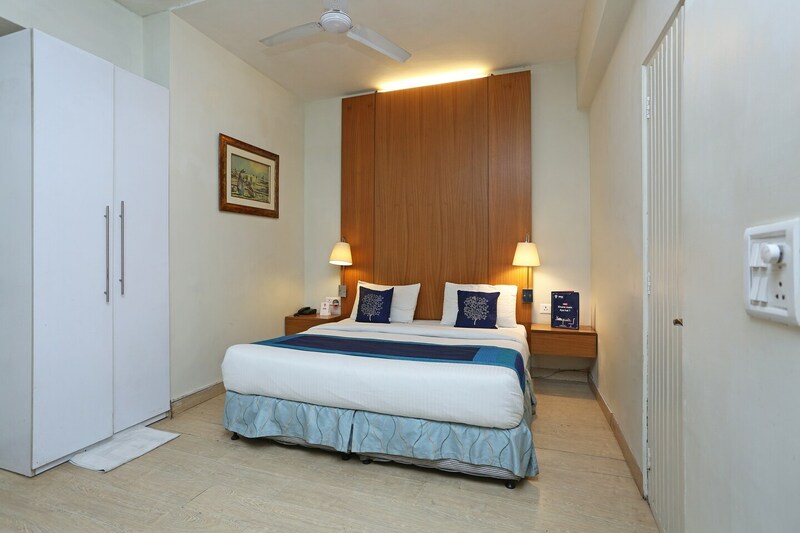 Addressed barely 20 minutes drive away from Nizamuddin Railway Station, and a short walk from Nehru Place Bus Stop, Hotel Gem 92 is for anyone looking for a comfortable stay, close to citys major transport terminals. The USP of Hotel Gem 92 is in its detail for simplicity. This hotel gives free Wifi, AC, Mini Fridge, Room Heater, Geyser Facilities for its guests. The white and grey combination on the walls lend a quiet elegance to the place. There is also a small courtyard adjoining the hotel. The Khirki Masjid, Lotus Temple and the famous Kalkaji Mandir is a short drive from the property.